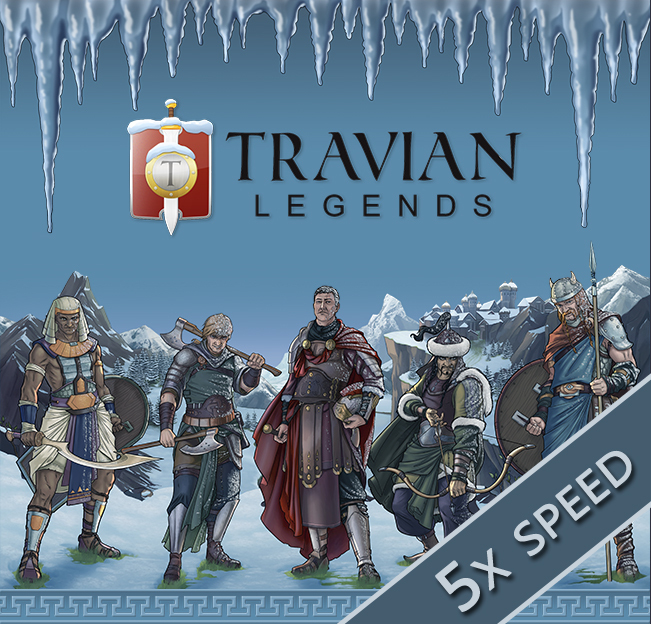 The northern winds blew harder than ever from the icy peaks surrounding the Travian valley. This meant – for the second time since last year – that an extremely cold winter had once again arrived. The heavy snowstorm barred the people from going outside. They spent days huddled around fireplaces, which – to their regret – couldn't provide enough warmth to stave off the cold that held everywhere firmly in its grip. Even the most provident villagers, who took, as they thought, necessary precautions after the last year's winter, frowned as they looked at the scarce resources. They were dwindling day by day, especially the wood and crop supplies. People no longer had to wait for the heralds to realize the simple omen brought by the weather: The war against the new tribes was imminent. Again. And the only hope to survive against the eastern and southern hordes was to conquer the powerful Natar artifacts and build the Wonder of the World. In time. Time... The scarcest resource that was all but depleted. And that in turn meant that they had to act very fast. Five times faster than usual to make preparations for the greatest war ever. The war for survival. And now it's time for you to decide – which tribe will YOU help to survive? Dear players, we're happy to announce that right after New Year the new tribes will once again take part in the war for the Natar legacy - the World Wonders, and this time on an incredible 5x speed! Post was edited 1 time, last by Stellamini ( Dec 17th 2018 ).